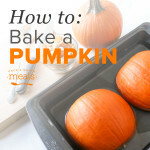 Making your own pumpkin puree is so simple and inexpensive, you might as well grab a couple of extra while helping the kids pick out their perfect carving gourd. 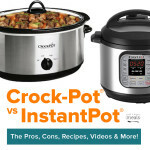 Well, it is fall and what says fall like pumpkins? 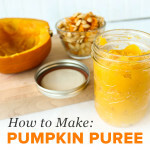 See how I cooked up a pumpkin to make puree that I can use in my cooking or for feeding to my little one. 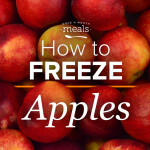 Use frozen apples in homemade applesauce, apple pie, apple-cinnamon muffins, as a sub for oil or eggs, and much more. 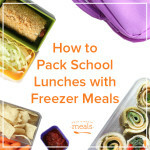 Here are some tried and true Once A Month Meals freezer meal recipes that can easily be made ahead of time for quick and easy lunch box packing. 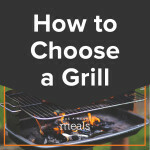 Are you choosing a grill or upgrading for this season? 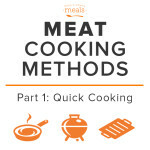 Read our practical tips for choosing between gas and charcoal and picking accessories and recipes! 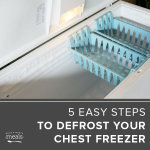 The grill can be a fantastic freezer cooking tool if you know how to use it right. 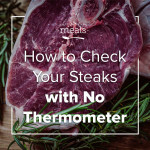 Here’s my secret trick to getting your steaks the perfect serving temperature with NO thermometer! 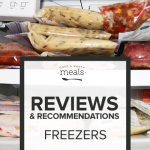 Freezers are clearly one of our favorite things, but defrosting them is still a dreaded task. 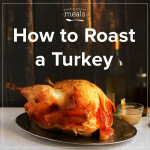 Here’s how we like to tackle this bit of annual maintenance. 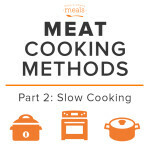 Join us for a quick tutorial on how to cook different cuts of meat to help you when you are planning your big freezer cooking day. 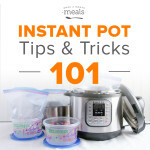 Freezer cooking is the ultimate in time saving convenience, but wait until you see how you can transform your freezer cooking with an instant pot! 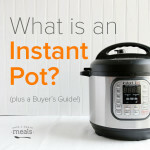 What exactly is an instant pot? And what is all the hype about. 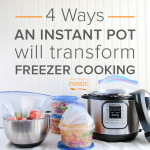 Find out what it is, how to buy it, and how to use it to freezer cook!